Every now and then Fijian leaders, academics, politicians and general public have levelled accusation at Indo Fijians for being disloyal to Fiji by not joining the army during the world wars. This misunderstood, misplaced and false accusation has been hurled by successive Fijian leaders at the Indo Fijian community for their political gain and ulterior motives. Therefore, while we are marking the 2010 ANZAC Day, it is best to clarify these lies here. 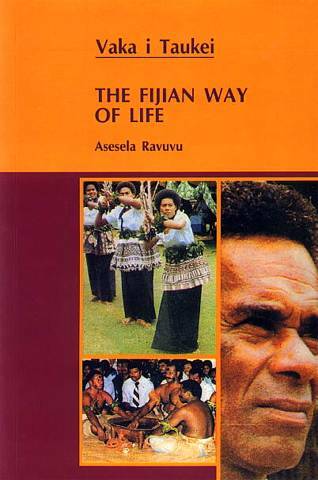 Among others, a Fijian nationalist academic who was behind the race-based 1990 constitution, late Dr Asesela Ravuvu had accused Indo Fijians of not being interested to fight for the maintenance of democratic rule in the world and was only interested in their own individual enhancement while Fijians gave their lives for this cause. He accused Indo Fijians of demanding more pay and special protection for their families and property. It was such non-cooperation, according to him, that partly contributed to difficulties in acquiring trust and acceptance of the Fijians as good neighbours and countrymen. It is a pity that such finger-pointing has failed to be challenged widely and corrected. my own sources, to inform what the wider community deserved to know a long time ago. It is agreed that while to some extent, government’s refusal to grant Indo Fijians the same conditions of service provided to European soldiers is one of the reasons for Indians not being in the military, there are other reasons that need to be clarified to counteract the accusations of racists who castigate a whole race for something they are not guilty of. The reasons why Indians did not join in the world wars in the Fiji army are many. It is hoped some clarifications will set free the lies that blinkered and jaundiced people, that were spread to capitalise on Fiji’s divisive race-based politics that has been a hallmark for Fiji election victories in the past. One needs to appreciate that the recruitment for Fijians was well-organised and even supported by the other chiefs and even the respected and renowned Fijian chief, Ratu Sir Lala Sukuna in his military uniform, solicited support from indigenous Fijians. His support and efforts for this to some extent was a payback to show his gratitude to the British. He was a beneficiary of the things that came from Britain, hence he needed to protect them. Furthermore, by recruiting a greater number of Fijians, there was an intention to display Fijian loyalty to the British to win their support for the Fijian community. This occurred as the Indian community exerted pressure for more say in the Fijian government. In addition to that there was easier access to Fijian villagers to recruit, as they lived in stratified structures collectively and were more easily accessible than scattered Indo Fijians. While the Indians said they would fight if Fiji was attacked, they refused to fight for the empire in other parts of the world unless government acknowledged the principle of equality between European and non-European soldiers. What they said was that an Indian life should be valued the same as a European life. The government was also reluctant to recruit Indians because of objections from Fijians and Europeans, as they did not wish Indians to be equipped with this skill. There have been instances where Indians were requesting their sons to be recruited, but were refused. Europeans, especially the British, were fearful of Indians because of Gandhi’s ‘Quit- India’ campaign and Subhash Chandra Bose’s reported collaboration with the Japanese. They realised that unlike Fijians, Indians were more independent in their thoughts and actions and hence they would have difficulty in keeping them subdued and subjugated. One of the more important reasons not acknowledged is that Indians were brought to Fiji as ‘beasts of burden’ for cane plantations and this conflicted with their military role. Hence there was a reluctance by CSR to grant leave for the farmers to fight the war, as they needed to meet their contractual arrangements on the cane farms. Indians were not unemployed and “free’ like most of the villagers who were not fully utilised and were available for military service without any constraints elsewhere. Indians had a difficult choice of selecting between enlisting for war and keeping their farms. Fijians on the other hand did not have the difficulty of such a choice, as they had no farming obligations and their families were well-catered for by the collective village type of dwellings. The government proclaimed that the most important contributions the Indians could make were to increase the production of foodstuffs and maintenance of essential agricultural interests. This had been the Indian contribution to the war, as soldiers cannot fight wars on hungry and empty stomachs. While Fijians fought a military war, Indians were fighting the agricultural and economic war for Fiji. Historians need to realise that membership in the British Empire was never considered a badge of honour by the Indians, this was realised on seeing the looting and atrocities in India and their treatment in Fiji. Local Europeans owed their power and prestige to British colonialism, and Fijian chiefs were grateful for the security and privilege they and their people enjoyed as a result of British policies. On the other hand, Indians had been subjected to most inhuman racial humiliations and denigrations on a daily basis during indenture (girmit), and fighting a war for the British would have meant a fight for preservation of a system that was oppressive and humiliating. A very effective tool of the British, and successive Fijian regimes, to exclude Indo Fijians from the disciplined services was imposing the restriction of physical size which worked for the more heavily built indigenous Fijians. Having restrictions of height, chest-breadth and other physical attributes that excluded Indian characteristics was a good ploy to deny Indo Fijians such roles. Little did they realise that like with Ghurkhas and other smaller built soldiers, prowess in military is not handicapped by size because of which Indo Fijians were denied places in the Fiji military and the police force. The conclusion by Dr Brij Lal in analysis of the above reasons is that the Indo Fijians were neither seditious nor disloyal. It was the European propaganda and the high-spirited war efforts of the Fijians that made them appear so. It was concluded that there was no evidence of any opposition to the wars by Indo Fijians who had displayed full loyalty for the government with a fervent hope for the victory of the Allied Nations. It is obvious that a vacuum of the true historical facts has clouded this issue of Indo Fijian reluctance in the war. This was compounded by a lack of collective rebuttal by Indo Fijians that has led to writers like Dr Ravuvu and other political opportunist to openly humiliate a race for something they were not guilty of. The question that I pose here is would Fiji’s history have been different if the British had encouraged racial balance in the Fijian Military during the wars? They say that we become wiser after the event and the benefit of hindsight makes us good philosophers. The question that we raise relates to the reluctance of Fijians and the British colonials in allowing Indians in the military. What may be the history of Fiji if the Indians were encouraged and even forced to join the army during the two world wars? The answer perhaps lies in the next question and answer. 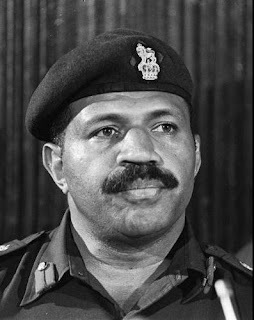 Question: Why is it that Papua New Guinea and India, despite being so divided on regional, provincial, language, cultural or ethnic lines have little chance of suffering a racially-instituted military coup – as Fiji has? Answer: This is because their military do not have the type of racial, ethnic, traditional, regional or religious polarisation that Fiji military has. In those countries the diverse make up of the soldiers would thwart, discourage and even prevent uprising based on racial, religious or regional superiority and bigotry grounds. For argument sake, assume if the Fiji military in 1987 had, say 30 to 50 percent Indo Fijian soldiers distributed equally in all ranks, would Rabuka still have been able to topple the then Commander and institute a racially-based coup? The chances would have been slim, and may even have resulted in a mutiny as comradeship in the military transcends race and reason may have come out of such a treasonous suggestion. Fiji’s history, which has been told from a British perspective, failed to tell the full truth about the lack of Indians in Fiji’s army. I hope this, in a little way, helps fill up that vacuum and compels the ill-informed to shut up rather than attempt to tarnish a race, based on lies and incomplete information.- Thakur Ranjit Singh is a post graduate student in Communication Studies at Auckland University of Technology. "...fighting a war for the British would have meant a fight for preservation of a system that was oppressive and humiliating..."
Well, it's a jolly good job the British Tommy, the American GI Joe and the working class from most other nations didn't feel the same way, isn't it? Singh's poor excuse of a 'rationale' is nothing better than a self serving rant against the racists that he sees under every bed. Bulls & Red Flags - Bainimarma & Democracy - T R Singh & iTaukei. This guy is a dead set moron!!! Get over it and move on loser - You can't be a victim all your life - bloody whinger!!!! Unfortunately reality is Mr. Singhs forefathers did not and would not defend Viti in its hour of greatest peril. Thus they and he have forfeited any say in its recources - or its future. Please Mr. Singh - you chose to leave Viti - settle in NZ - concentrate on that - appreciate if you would desist from commenting on matters that no longer concern you. yes , i am not entirely convinced of this equally sweeping explanation for why indians did not fight in the wars...i am hardly surprised that still there are no indians in the army. It is cultural...indians it would appear are loyal to a point and only in their own interests....to that degree it is not unreasonable. I always find it remarkable that while bemoaning colonialism...the very vestiges...uniforms, medals...parliament...public service...education, health, diplomatic service and even the language and sport are kept..this as opposed to a chiefly system abused for the betterment of a very few but defended by the self interested. Yes Singh is right on the money for once. Indians at the time were not only "beasts of burden" but the back bone of the Fijian economy hence the reason for their lack of interest in such wars besides they were under contract to their masters. Oh - so now the British are responsible for the 1987 coups, and presumably the 2000 and 2006 ones as well? Come ON, Thakur. There were two generations in between 1945 and 1987. Do you feel the Indians were so shackled to their 'colonial past' that they were unable to break free in those intervening 2 generations and start thinking for themselves rather than seeing everything through the eyes of their forefathers? If so, then you only perpetuate a stereotype. On the other hand, I prefer to believe those 2 generations made a conscious decision not to be involved in the military because it didn’t offer the same prospects as commercial life. You mention that “…Indians were [considered to be] more independent in their thoughts and actions…” then why on earth are you railing against the colonisers for the Indians’ right to decide for themselves at the time what was best for them? Indians were not subjected to conscription, yet you implicitly say that this was not in their best interests (“…What may be the history of Fiji if the Indians were encouraged and even forced to join the army during the two world wars?...”). So it seems that, in your eyes, the British are damned as they didn’t compel your forefathers to fight in the military. Be honest, would you not have also damned the British if they HAD conscripted Indians? Despite all your flabby intellectual ‘justification’ for Fiji Indians not fighting in WW2, you need to accept that 1) they made their own decision not to join the working, middle and upper classes from other countries who went to fight a global war against fascism and 2) that they made their own decision to continue avoiding the military after 1945. To continually harp on colonialism and racism as being responsible for Indo Fijian difficulties 40 years after Fiji became independent is as moronic as a poor African American claiming slavery is the cause of their present economic misery. I’m sure you take responsibility for your own actions and don’t blame the historical actions of others for the daily difficulties you might face in life. If so then get a grip, and don’t try playing the blame game on a racial basis. A long winded blog which clearly sets out that Indians are Indians wherever they may be and in whichever country they settle. The Indo Fijians put India first and Fiji second - something they still do. Hence the seperatism. The same could be said for the natives, where were they during the great wars. The Americans stood on Fiji's terra- firma defending not only the indians but the fijians as well. Has this moron been hand picked to give indians a bad name? Poor little wogga wogga - oh for crying out loud, why are you publishing this so called journo ? Perhaps Ta Kua's next essay can be on why the coup he loves so much was based on lies and mis-information? Perhaps he will try and pin that one on the British Empire too ? Sorry, but your statement is just wrong. Fijians have served in the British armed forces since WWII and beyond. Unless you are referring to WWI or the Boer war? In any event, basing an argument on whether or not Indians and Fijian's make good soldiers and hence "good people" is vacuous. As if loyal soldiers got us anything better than the idiots in charge today. Why is Thakur even talking about this? Where did he get this information that "the government was also reluctant to recruit Indians because of objections from Fijians and Europeans, as they did not wish Indians to be equipped with this skill"? Is this some sort of ouija board that Thakur is using to contact the spirit world? Then he has another problem. Thakur constantly berates other people for their statements and yet when in one breath he laments that indians have been mis-labelled as disloyal he then launches into a diatribe against Fijian's and their "loyality" by stating: "They (the Colonial Monsters I guess) realised that unlike Fijians, Indians were more independent in their thoughts and actions and hence they would have difficulty in keeping them subdued and subjugated." Thakur Singh is just the facist racist Lord Haw Haw in bollywood drag!!!! Trust Thakur Singh makes a better job of assimilating into his new country than he did in his last? Already started accusing Kiwi's of being prejudiced against Indians - what he doesn't yet comprehend is that Kiwi's are not as placid or forgiving as Kai Viti towards people like him?